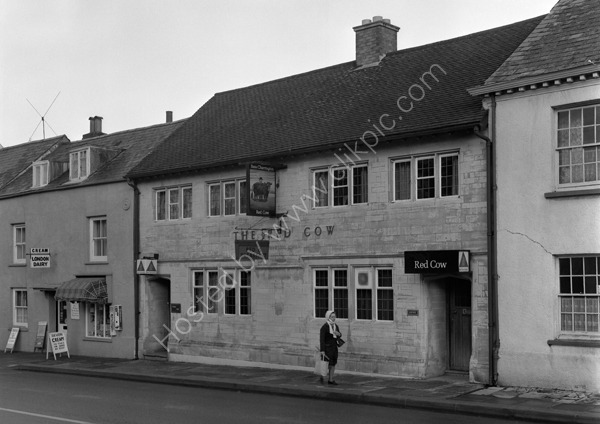 The Red Cow in High Street, Honiton, Devon in around 1974. Note the sweet shop next door has two sweet vending machines on the outside wall. For commercial use of this photo please visit www.alamy.com and search for AGM280 but for a one off print please see below.